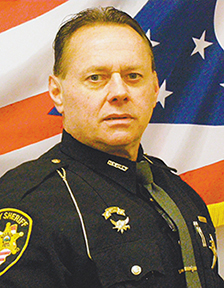 PUTNAM COUNTY — In an apparent spat over compensation, Putnam County Sheriff’s Office Chief Deputy Verl Warnimont resigned his position on Monday. Mr. Warnimont was appointed to the position in January of 2017 following the election of Brian Siefker as county sheriff. At that time, Mr. Warnimont asserts he entered into a verbal agreement with the newly elected sheriff, an agreement providing for a wage and benefit package above and beyond what was typically called for. In addition, Mr. Warnimont asserted he was to receive $25 per hour at the start. Not so, Sheriff Siefker said. The position paid $23 per hour, and that’s what Mr. Warnimont was paid. As for the additional vacation time? What brought the whole matter to a head was a medical emergency experienced by Mr. Warnimont requiring two separate surgeries and two periods of convalescence: the first for eight weeks, and the second for six. During that second recuperation period, he says he received a call from the PCSO informing him all accrued vacation, sick, and comp time due him was spent, and requiring him to pay the Auditor’s Office his medical insurance premium. For Sheriff Siefker, Warnimont’s donations weren’t, and couldn’t be, a factor. Even so, while the department couldn’t officially intervene, couldn’t provide unearned time, an effort on the part of at least one PCSO employee to alleviate the burden was made. For both parties, the PCSO and Mr. Warnimont, the parting, all rancor aside, brings with it it’s own share of pain, of regret. Sheriff Siefker praised Mr. Warnimont for his efforts over the past 28 months, acknowledging his former chief’s contributions to the efficiency of his administration, and asserting his experience would prove difficult, at best, to replace.